Did someone say "Southern Rock"? 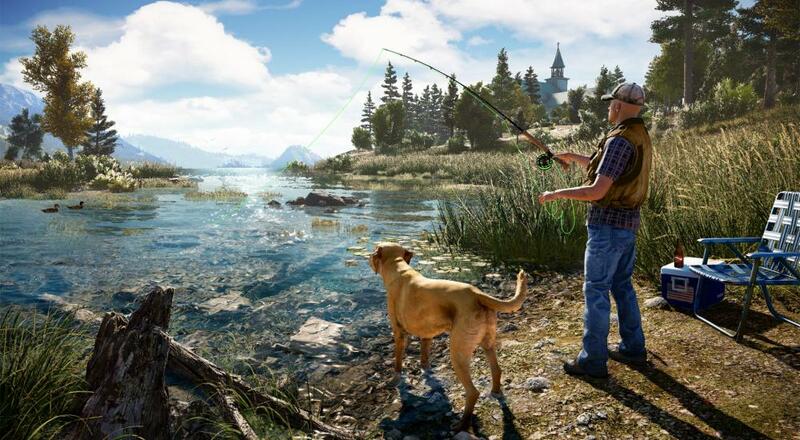 Far Cry 5, Ubisoft's latest effort at combining open world chaos with... mild social commentary, will hit both digital and physical shelves at the end of February 2018. As such, their PR machine is in full force, most recently culminating in a new trailer depicting the "resistance". Similar to recent Far Cry releases, the protagonist must work closely with the local factions if they want to really stick it to the baddies. In FC5, they'll be filling a "Resistance Meter", which unlocks more allies and (presumably) weaponry as it progresses. What do these allies do, exactly? Well, I bet you can guess, but check out the trailer below if you want to see them in action. When it's available, Far Cry 5 will feature online co-op for two players, most likely in a similar format to the prior release. It probably won't be anything groundbreaking, but it's hard to argue with the amount of dumb fun you can have cruising around and finding hilarious ways to destroy outposts.